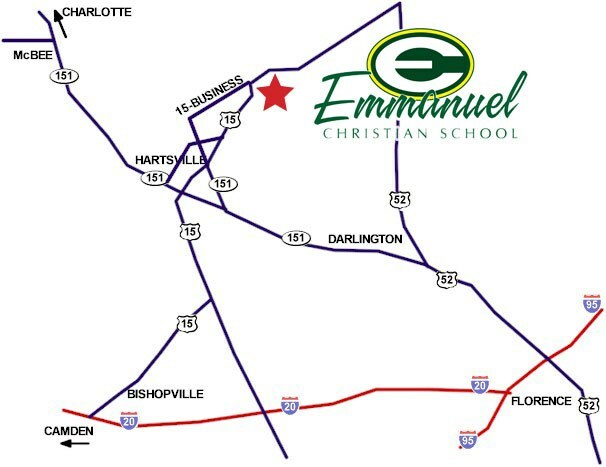 Emmanuel Christian School is located in Hartsville, SC, about 10 minutes from Darlington and 25 minutes from Florence. We are only 2 hours from the Atlantic beach communities and 2 1/2 hours from the North Carolina Mountains. If you need further assistance, contact us at info@ecscrusaders.com.